Catholic Prayers is a complete, light weight and reliable resource for personal Christian Prayers in English. It gathers a diverse selection of prayers from the rich traditions of the Catholic Church. This treasury of Catholic worship includes personal, family, and liturgical prayers. It includes a great collection of daily prayers which can be used in different occasions in our life. • Daily prayers, Occasional prayers, Litanies, Novenas, Marian Prayers, Prayer to Jesus, Prayers to Saints and a lot more. • Favorite your prayers and access it easily. • Hourly chime to get notified every hour. 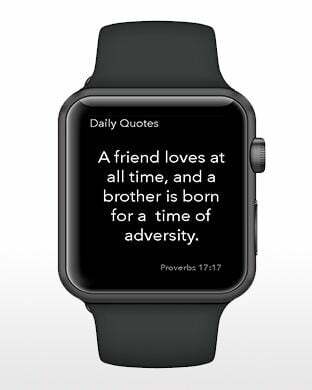 • Widget for Daily Bible Quotes. • Details of Current season, Daily thoughts & Daily readings. • Full screen Teleprompter with adjustable speed. • Zoom In & Out to adjust the text. • Colorization to the text for better understanding. • Dynamic UI with respect to important dates. • Simple and Elegant UI. • Share the prayers to your friends and family. All copyright, trade marks, design rights, patents and other intellectual property rights (registered and unregistered) in and on Catholic Prayers may be extracted from different sources and books. To different online prayer sources and christian prayer books : Thank you for your inspiration. Catholic Prayers is not collecting any of the user information with our their prior knowledge. The app doesn't share or misuse any of the information collected from the user. The software, materials and assistance provided by Catholic Prayers have the only purpose of sharing prayers to its users. If you have any questions or suggestions don't hesitate to drop us a line at jeethukthomas@icloud.com - that's what we're here for!